Many communities have a local “food pantry”, sometimes mistakenly called a “food bank”. Most of these community food pantries are sponsored by local area churches and/or community coalitions. A community food pantry’s mission is to directly serve local residents who suffer from hunger and food insecurity within a specified area. Community food pantries are self-governing and usually distribute food to their clients at least once-a-month. Facing Hunger Foodbank’s mission is to feed those in need by providing food to these food pantries for distribution into their respective communities. The Food Bank’s daily operation consists of sourcing and gathering food, sorting and cataloging the food, then warehousing the inventory to be distributed to our 248 members and programs throughout our 17 county service area in West Virginia, Kentucky, and Ohio. 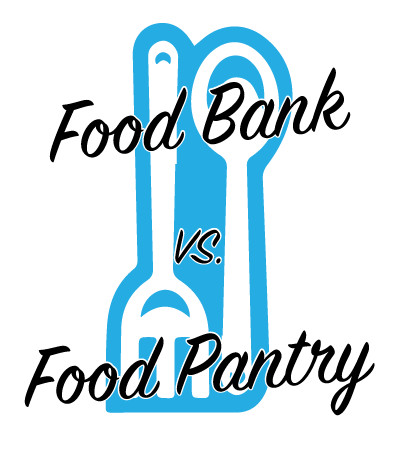 Food banks and food pantries—they are not the same. But they share the same commitment. We are proud of our partnership with food pantries—and many other organizations—who act with us on the belief that nobody should ever go hungry.